Senior Consultant in the Department of Cardiac Pacing and Electrophysiology, Escorts Heart Institute & Research Centre, New Delhi. 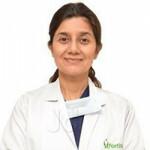 Dr. Aparna Jaswal is an acknowledged expert in Cardiology at Fortis Escorts Heart Institute, New Delhi. She has been working at FEHI as a Principal Consultant since 1998. Dr. Jaswal has to her credit Certified Cardiac Device Specialist from the HRS, USA. Dr. Jaswal has many research projects and has been actively participating in National and International Research Trials. She has been invited as a faculty to various national and international symposia and workshops. She also has to her credit for having been the first electrophysiologist to start an EP program in Mauritius in November 2010. Dr. Jaswal has advanced as a Fellow of the Heart Rhythm Society, USA in March 2011. This video talks about the life of a pacemaker by Dr. Aparna Jaswal, Cardiologist, Fortis Escorts Heart Institute. .. In this video, Dr. Aparna Jaswal, Cardiologist, Fortis Escorts Heart Institute describes the different types of pac..
What are the reasons for pacemaker failure? 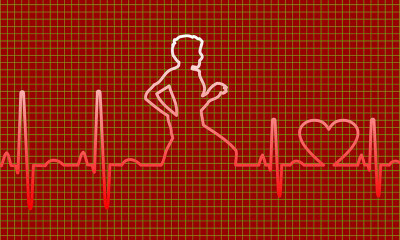 Dr. Aparna Jaswal, Cardiologist, Fortis Escorts Heart Institute talks about various reasons of pacemaker failure in..
How can a physician check a pacemaker? In this video, Dr. Aparna Jaswal, Cardiologist, Fortis Escorts Heart Institute will discuss about how a physician can..
Are all cardiac devices battery operated? In this video, Dr. Aparna Jaswal, Cardiologist, Fortis Escorts Heart Institute tells us that the cardiac devices us..
What is the difference between one lead, two lead and three lead pacemakers? The video talks about the difference between one lead, two leads and three leads pacemakers by Dr. Aparna Jaswal, Cardio..
What are life threatening arrhythmias? What does a pacemaker look like? Can you show us all types of pacemakers? In this video, Dr. Aparna Jaswal, Cardiologist, Fortis Escorts Heart Institute, will talk on different types of pacemake..
What are the Non- pharmacological methods for supraventricular arrhythmias? In this video, Dr. Aparna Jaswal, Cardiologist, Fortis Escorts Heart Institute talks about the non- pharmacological meth..